Medium: Gelatin silver print; size: 38.1 x 48.9 cm. Medium: Print; size: 61 x 46 cm. Medium: Oils on canvas ; size : 70 x 80 cm. Reference: Hulde aan Jos Albert. Koninklijke Musea voor Schone Kunsten van België, Brussel, 1976, 42pp. black / white illustr. Cat. 56, p. 32. Medium: Oils on canvas; size: 97.5 x 131 cm. Reference: Olivier Calon. Les Plaisirs de l'Automne. Editions Du May, 1995. Medium: Oils on canvas; size: 33 x 45 cm. Medium: Watercolours on paper; size: 35 x 53 cm. Armfield, Maxwell Ashby. British. 1882-1972. Medium: Tempera on panel; size: 22.5 x 30 cm. Medium: Oils on canvas; size: 30.5 x 134.6 cm. Medium: Oils on canvas; size: 25.4 x 35.6 cm. Medium: Oils on card; size: 40 x 50 cm. Still Life with Mushrooms. 1981. Medium: Oils on canvas; size: 62 x 76 cm. Reference: Seen by and photo taken by D. Thoen at an exhibition held in Virton (Belgium). Medium: Unknown; size: 51 x 41 cm. Reference: Robert S. Marks, in letter, ca. 1970. Medium: Oils on panel; size: 27 x 35 cm. Medium: Water colors on paper; size: 76 x 61 cm. Medium: Oils on board; size: 50 x 80 cm. Medium: Oils on canvas; size: 60 x 53 cm. Medium: Oils on canvas; size: 50 x 40 cm. Medium: Oils on canvas; size: 51 x 61 cm. Medium: Oils on masonite; size: 5" x 7"
Medium: Oils on canvas; size: 64.5 x 53 cm. Medium: Oils on board; size: 36 x 20.2 cm. Medium: Oils on panel; size: 42 x 29 cm. Medium: Lithograph (aluminum and stone) in green, violet and pink on German etching paper; size: 147 x 110 cm. Location: National Art Gallery, Washington, D.C. Medium: Oils on canvas; 120 x 100 cm. Medium: Paper poster; size: 51 x 20 cm. Medium: Poster art print; size: 61 x 46 cm. The artist painted a large number of works using "mushroom juice," from Coprinus comatus and other species. Note: Many of her paintings are not of mushroom motifs. Some of her works are in the Anchorage Museum of Art and History. Medium: Watercolors with inky cap “juice;” size: 8" x 10"
Medium: Crayons; size: 27 x 37 cm. Reference: DeVeres auction, 04 April 2006. Medium: Oils; size: 29.1 x 36.2 cm. Medium: Unknown; size: 8 x 36 cm. Medium: Oils on canvas; size: 51 x 51 cm. Medium: Oils on canvas; size: 66 x 51 cm. Medium: Oils on canvas; size: 76 x 122 cm. Medium: Oils on canvas; size: 46 x 61 cm. Medium: Oils on canvas; size: 152.5 x 122 cm. No information or description of these works are available. Medium: Watercolors; size: 9 x 9 in. Chaucrin, René. French. 1911?- 1981? Medium: Oils on canvas; size: 60 x 54 cm. Mushroom description: Amanita muscaria, Morchella sp. Reference: Collectif 1989. Pierre Courtois, Traces et Tracés. Galerie éphémère. Medium: Acrylics; size: 51 x 76 cm. Medium: Oils on board support; size: 54.6 cm x 70.5 cm. Medium: Water-colors, pastels, inks; size: 16.9 x 21.7 cm. Reference: Caso. Le Bestiaire de Mary Dambiermont. Ed. d'Art Lucien De Meyer. size: 46 x 53 cm. Medium: Etching on paper; size: ca. 28 x 36 cm. Medium: Oils (? ); size: 60 x 50 cm. Mushroom description: Mice among clusters of Collybia sp. Medium: Oils on canvas on board; size: 46 x 54 cm. Reference: Pierre Thibaut. Eloge du Cèpe. Edition Copédit. Périgueux: 1990. Medium: Oils on canvas; size: 61 x 46 cm. Medium: Scratchboard drawing; size: 16 x 8 in. Medium: Intaglio etching; size: 8 x 8 in. Medium: Technique mixte sur papier toilé marouflé sur aluminium; size: 140 x 333 cm. Medium: Oil on canvas; size: 60 x 81 cm. Reference: "La vie immobile culinaire"
size: 18 x 33 cm. Medium: Oils on glass; size: 90 x 50 cm. Medium: Oils on glass; size: 70 x 100 cm. Medium: Watercolors; size: 50 x 70 cm. The author made numerous etchings and lithographs of mushrooms. Twenty four of them can be found in G. Grass, In Kupfer, auf Stein. Göttingen: Steidl Verlag. 1986. The following are other examples. Medium: Alugraphy; size: ca. 61.5 x 76.5 cm. Medium: Charcoal on vellum; size: 48 x 64 cm. Medium: Multicolored alugraphy; size: 45 x 63 cm. Medium: Etching (eau forte); size: 29.5 x 39.5 cm. Medium: Watercolors and grisaille on paperboard; size: 33.3 x 24.3 cm. Medium: Oils on canvas; size: 50.5 x 91.5 cm. Medium: Oils on panel; size: 40.6 x 45.7 cm. Medium: Aquarelles; size: 40 x 50 cm. Medium: Acrylics on canvas; size: 6 x 6 in. Medium: Oils on canvas; size: 50 x 70 cm. Medium: Acrylics on canvas; size: 132 x 110 cm. Reference: Asbaek Gallery - Copenhagen, Exchange exhibition at Isy Brachot Gallery - Brussels, 1985. Location: Private collection of Heinz J. Ebert, Mückeln (Eifel), Germany. Acquired in 2004 in France. Note: Color print, H. Kreisel’s archive. Collector of Poisonous Mushrooms (Giftpilzsammler). 1973. Reference: Hauswedell & Nolte auction. Contemporary art, June 14, 2008. Medium: Mixed media: acrylics and gels over a gelatin silver photograph. Note: Refers to an episode in the Niebelungen legend in which Siegfried is given a magic potion (see bottle and mushrooms) that eases his memory of his beloved, Brunhilde. The piece started as a temporary arrangement of glass, sand, and wheat that the artist photographed, then painted and wrote over. Medium: Oils on canvas; size: 60 x 70 cm. Reference: A color folder in Thoen's collection. Medium: Water colors on paper; size: 59 x 41.5 cm. Medium: Oils on glass; size: 50 x 44.5 cm. Still Life with Capped Mushroom, Watering Can, etc. Reference: Catalog, PGM Art World 1996.p. 147 (supplement), AEK 03. Reference: Postcard, obtained 2006 by K. Wöldecke. H. Kreisel’s archive. Medium: Acrylics; size: 151 x 232 cm. Medium: Acrylics on canvas; size: 130 x 150 cm. Reference: Illustration of the cover page of Ray Bradbury’s L'Heure H et autres nouvelles. G.-F. Flammarion editor. Medium: Pastels on paper; size; 19.5 x 27.5 in. Note: This is available as a gicle print on the website listed below. Medium: Email sur contre-plaqué; size: 106.7 x 83.3 cm. Medium: Oils on canvas; Sze: 61 x 52 cm. Note: Carlo Levi is the author of the novel Christ stopped at Eboli among others. Liberman, Lynn. American. Norwich, Connecticut. Medium: Oils on canvas; size: 38 x 46 cm. Medium: Oils on canvas; size: 54 x 44 in. Mushroom description: Shows eight people, or more, picking mushrooms in the woods. No mushrooms can be seen. Medium: Oils on canvas; 24 x 18 in. Oils on cardboard; size: 52.5 x 62 cm. Medium: Oils on canvas; size: 40 x 60 cm. Medium: Oil on canvas, 60 x 80 cm. Note: Seen by H. Kreisel in 1998. Medium: Oil on canvas; size: 38 x 50 cm. Miller, J. Matt. American ? Medium: Oils on linen; size: 5 x 7 in. Medium: Etching; size: 20.4 x 14.7 cm. Medium: Engraving; size: 20.5 x 21.0 cm. Medium: Engraving; size: 29.5 x 29.7 cm. Medium: Oils on canvas; size: 51 x 76 cm. Medium: Oils on canvas; size: 56 x 91 cm. Medium: Oils on canvas; size: 60.9 x 76.2 cm. size: 51 x 60 cm. Medium: Print on paper; size: 24 x 30 cm. Mushroom description: Several capped mushrooms and puffballs, depicted naturalistically in a surrealistic composition. Reference: Advertising material, 1998; calendar, 2000; postcard, Verlag M. Saupe. Note: Seen in 2000 in Munich and in 2002 in Griebenow by H. Kreisel. Reference: Post card, Verlag M. Saupe, Munich. 2000. Reference: Post card, Verlag M. Saupe, Munich 2000. H. Kreisel’s archive. Reference: Post card, Verlag M. Saupe, Munich 2000. Reference: Post card, Verlag M. Saupe, Munich, 2000. Reference: Post card, Verlag M. Saupe, Munich 2000. Flyer, Frankfurt, Germany, 2004. Mushroom description: Two Leccinum sp., salamander and butterfly. Note: Print in H. Kreisel’s archive. Location: Private collection, H. Kreisel. Note: Seen by H. Kreisel in 2002. Note: seen by H. Kreisel in 2002 in Griebenow, Germany. Reference: Zeitschr. Mykolog. 68:27 (2002). Reference: Poster, Frankfurt, Germany, 2004.
size: 41 x 41 cm. Medium: Oils on board; size: 34.8 x 50.4 cm. Location: Cheltenham Art Gallery and Museum, Gloucestershire, UK. Medium: Oils on canvas; size: 30.5 x 40.5 cm. Reference: Bonhams (Knightsbridge), Lot 139, April 15, 2003. Exhibited Royal Academy, 1958, No. 655. Note: One of the eleven tapestries in the series “History of Denmark.” Executed 1990-2000. This panel shows the King and Queen of Denmark in a Garden-of-Eden-like setting. Medium: Inks and gouache on paper; size: 14 x 12 in. Medium: Oils on board; size: 13 x 15 in. Mushroom description: Three Agaricus "brunnescens"
Medium: Oils on illustration board; size: 63 x 63 cm. Medium: Watercolors on paper; size: 55 x 66 cm. Medium: Sculpture. Paper, wood and plexiglas; size: 30 x 30 cm. Medium: Tirage au platine, encre, aquarelle et pigment sec sur papier marouflé sur aluminium; size: 71 x 52.7 cm. Reference: Connaissance des Arts 564. Sept. 1999. Medium: Oils on canvas; size: 11 x 14 in. Medium: Oils on canvas; size: 82 x 100 cm. Medium: Oils on canvas; size: 48.3 x 59.7 cm. Medium: Oils on canvas; size: 140 x 220 cm. Medium: Oils on hardboard; size: 80 x 100 cm. Medium: Oils on canvassize: 60 x 50 cm. Medium: Oils on canvas; size: 85.2 x 69.7 cm. Reference: Sale of Gros et Delettrez, Monday, January 27, 1992 [Mot 5], Scholl of St. Petersbourg. Location: Smarda Family private collection. Reference: Seen by H. Kreisel in 1951 in Kûrim near Brno, Czech Republic. Medium: Oils on canvas; size: 26 x 33 cm. Reference: Glerum auctions. December 4, 2006. Medium: Oils on canvas; size: 50 x 65 cm. Reference: Whyte’s Ireland auction. April 28, 2008. Medium: Charcoals, water-colors, pen, black ink on white paper; size: 56.9 x 75.7 cm. Medium: Gouache; size: 51.4 x 36.2 cm. Medium: Oils on canvas; size 8 x 12 in. Medium: On canvas; size: 80.6 x 60.3 cm. Medium: Oils on canvas; size: 63 x 84 cm. Medium: Oils on canvas; size: 75 x 90 cm. Medium: Oils on canvas; size: 50.8 x 50.8 cm. Location: Bristol City Museum and Art Gallery, UK. Medium: Oils on canvas; size: 61 x 44 cm. Medium: Oils; size: 75.5 x 70 cm. Reference: Phillips, London. Russian 20th century & Avant-Garde Art. November, 1989.
size: 95 x 79 cm. Medium: Etching, drypoint; size: 17.8 x 10.5 cm. Medium: Etching; size: 5.1 x 6.8 cm. Medium: Etching/drypoint; size: 12.8 x 14.6 cm. Reference: Two transparencies, D. Thoen archives. 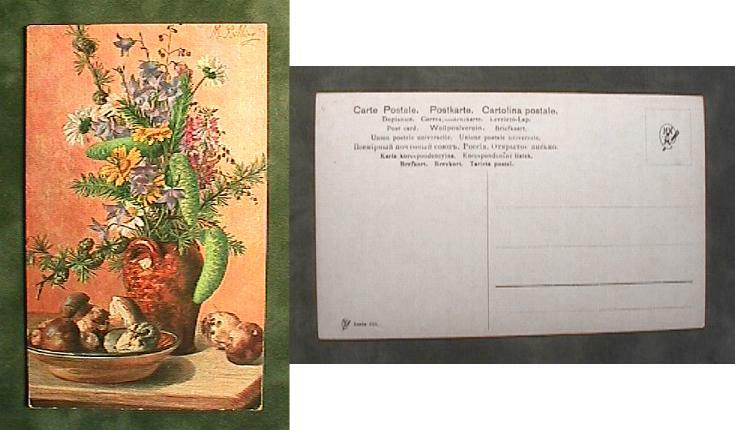 Reference: Color postcard (Editions Decorève, Paris, printed in Italy, Intercamera, Milano) in Thoen's archives. Medium: Oils on canvas; size: 150 x 200 cm. Medium: Graphite on paper; size: 7 ¼ x 8 ¾ in. Medium: Graphite, colored pencils and inks on paper; size: 10.5 x 8.5 in. Medium: Oils; size: 89 x 116 cm. size: 46 x 38 cm. size: 61 x 50 cm. Medium: Drawing with colored crayons; size: 23 x 28 cm. size: 19.75 x 15.19 in. A large number of mushroom prints in a collection called Natural History, Part I, Mushrooms (P07573-P07582; Complete group). Medium: Lithograph and mixed media on paper support; size: 758 x 558 mm. Medium: Oils on streched canvas; size: 16 x 16 cm. Reference: Inv. 4913. Cat. M.r.B.A. Reference: L'Art et la Banque, Paribas. Medium: Oils; size: 20 x 27 cm. Medium: Watercolours on paper; size: 20 x 30 cm. Reference: Editions d'Art Aurora. Leningrad. 1984. Medium: Oils on canvas; size: 90 x 70 cm. Warhol, Andy. American. Pittsburgh 1928-New York 1987. Medium: Screenprint; size: 35 x 23 in. Medium: Acrylic polymer on canvas; size: 20 x 20 in. Note: There are many other websites showing Warhol’s “mushroom” prints. Reference: Colored illustration in Thoen's collection on the cover of a leaflet Mots Croisés, les 4 Saisons, No. 124, 25è année, Keesing ed.